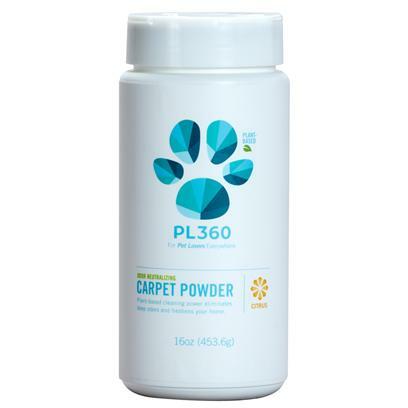 PL360 Odor Neutralizing Carpet Powder uses plant-based cleaning power to eliminate deep, set-in odors from carpets. Works great on: carpet and fabric, especially problem spots. If carpet powder gets in your eyes, flush out with water. Always be safe, keep product out of reach of pets and children. Unsure about your surfaces reaction? Test a small area that no one but you will notice. Baking soda, plant-based moisture absorber, plant-derived odor neutralizing agents, fragrance. Sprinkle over dry carpet. After a few minutes vacuum thoroughly.